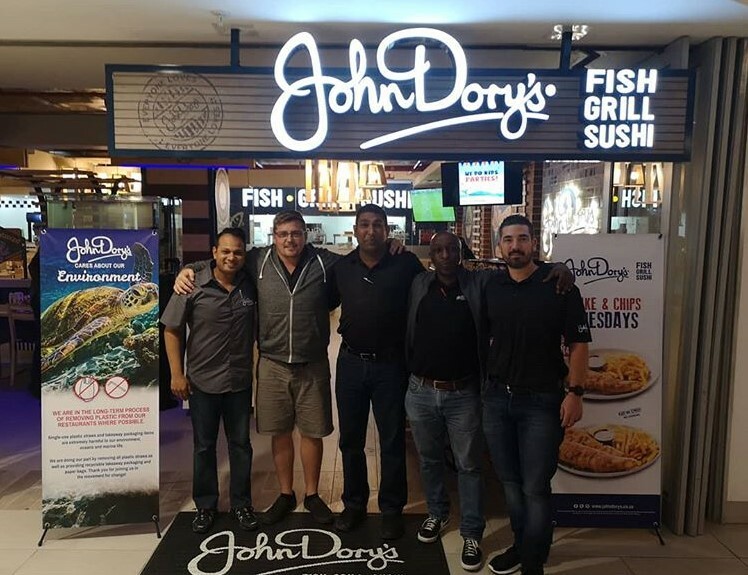 John Dory’s franchisees and staff get behind Spur Corporation and John Dory’s Eco Voyage Vision for a more sustainable future! They are taking the brand’s awareness and campaiging against plastic pollution in our oceans and waterways to the next level. 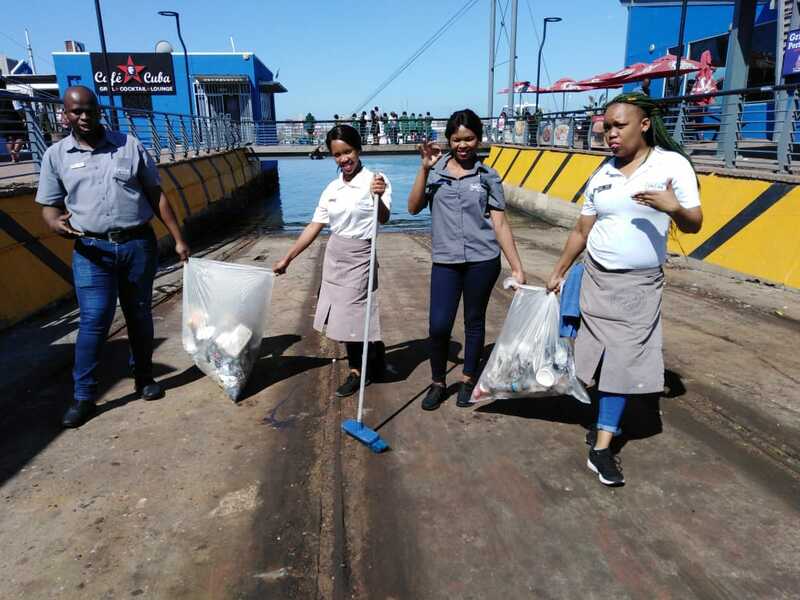 The Wilson’s Wharf crew recently rolled up their sleeves to do their bit to help keep their local community clean, looking beautiful and helping protect wildlife from the harmful effects of plastic pollution. Nico Kruger from John Dory’s Galleria has been doing fantastic work to help combat the amount of litter that enters the oceans via the rivers and waterways, which kills millions of sea birds, marine mammals and fish each year. 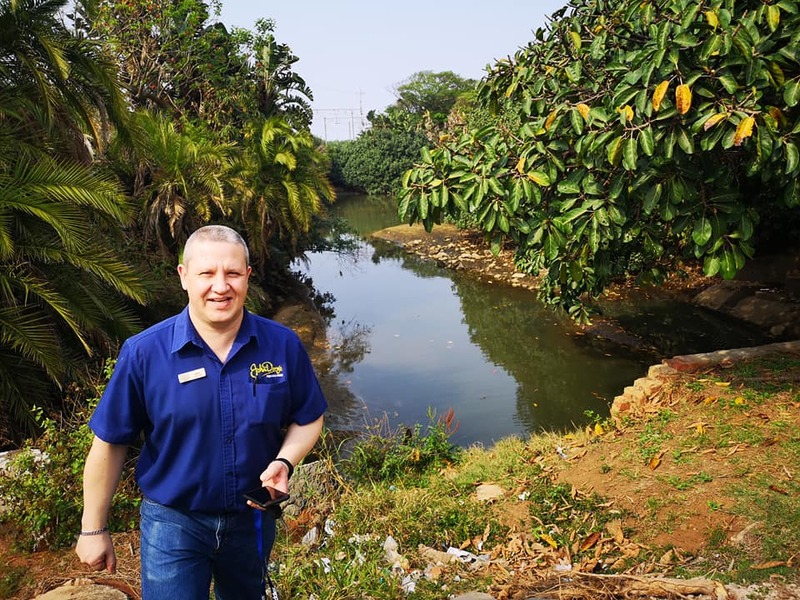 Working closely with Shaun Callaghan, the duo build inventive barriers in their local communities that utilise 2 litre bottles filled with plastic waste. The bottles are strapped together to form a chain which is securely wrapped in shade cloth. This creates a barrier that floats above the water line, stopping any floating litter, specifically plastic, from flowing downstream. The trapped waste is collected for recycling. If you are in the Durban area and would like to get involved in this exciting project, you can drop off any empty 2 litre bottles at Produce Direct along Main Road in Dooneside.